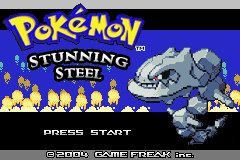 ROM Hacking Daily: Pokémon StunningSteel, Community ROM Hack, and more! Find out about the PokéCommunity ROM Hack project, read about Pokémon StunningSteel, and learn how to adjust the egg hatching level in your ROM hacks! Welcome to ROM Hacking Daily! In this new series we’ll cover new events, feature ROM hacks and offer tips and tricks. We’ll keep you up to date with the latest and best ROM hacks and news of PokéCommunity’s ROM Hacking area. This is a co-written project. 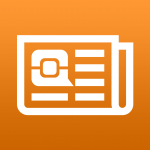 If you’re interested in contributing, check out the discussion thread! For the past month or so, something exciting has been stirring in the ROM hacking section. There have been attempts over the years, but for the first time ever the members of PokéCommunity have united to collaborate on a “community hack”. What is this community hack? To put it simply, we have begun an ambitious project to create a ROM hack of Pokémon FireRed using the input and skills of the entire community. Not just our ROM hackers, but members from our art section, our writing section and beyond have come together and begun working towards this one goal. We have begun an ambitious project to create a ROM hack of Pokémon FireRed using the input and skills of the entire community. At this point, there’s not much to show. What hacking has been done is mostly “below the hood” as it were. But that doesn’t mean we’ve been quiet! In fact, quite a lot of discussion has been going on. We’ve settled on an general story for the game and have been planning out the setting. The Avana Archipelago is a chain of islands far away from other regions, with a diverse collection of Pokémon and a varied climate. Expect to be able to travel from jungles to a volcano to the tundra and beyond. Without giving too much away, there will be appearances by the legendary Pokémon Lugia alongside Zapdos, Moltres and Articuno. Furthermore, your father will have an important role throughout the game. Interested? We’re always looking for more help! If you’ve got the skills, we’d love to see your application. But you don’t need to be a hacker to provide feedback on what we’ve got already, you can help out just by posting in the Planning forum! This year, the community is holding the PokéCommunity Hack Awards! Members of the community get to vote for their favorite hacks of all time in different categories. The competition is running for two months, so be sure to get your votes in by the end of the year. Check out the Hack Awards and make your nominations! Pokémon StunningSteel is a hack of Pokémon FireRed made by Vcaveman of PokéCommunity. 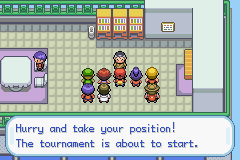 It is currently in beta and goes up to the sixth gym in Fuchsia City. It follows the storyline of FireRed, but there are several big changes that set it apart as an improved FireRed hack. For example, your story begins with you being seventeen years old and finally able to get a Pokémon. Your background is quite different besides the age change. You start your journey in the year 2008, just ten years after the Great Pokémon War had ended in Kanto – a war in which your father, now deceased, fought in with his Steel Type Pokémon. He became a national hero, and yet you know very little about him, while it seems so many people know so much more. Like your father, you are a strong trainer who has competed across many battle facilities with rental Pokémon since you couldn’t raise your own yet. With your character’s background out of the way, let’s look at the start of their journey. Upon going to Oak’s lab, you get the choice of three very interesting starter Pokémon. Each are designed to change the difficulty in some way. They are Cyndaquil, Aerodactyl, and Kakuna – a very unexpected group for a ROM hack! Upon seeing these three, I found it to be a pretty fun set. Each one changing the difficulty is a unique element to include in a game! I had to of course choose Aerodactyl, although Cyndaquil was a close runner up (sorry, Kakuna, you’re still cool though). Making my way through battles was a lot of fun with it. The fact that the ROM hack also includes most Pokémon from generations one to three, as well as many gen six mechanics such as indoor running and poison not affecting you outside of battle, was great. Being able to still play the game like it is FireRed (added Pokémon have low encounter rates to make it still feel like Kanto), while getting to use newer Pokémon is always great. It’s nice to see this increase for ROM hacks over time! It also can change the difficulty depending on your team. The difficulty can still be a challenge at times. In the infamous Genesis Cave fight in the demo, many people had trouble with it. Although I found it to be hard, but not impossible, it’s worth noting. If you like challenge, then you may enjoy that battle quite a bit! if you don’t, don’t let it steer you away! There’s a helpful guide and plenty of options for beating it! In addition to this difficulty, the story gets some new elements that come into play early on. StunningSteel introduces several new characters. There are new rivals in addition to Gary, such as Vanessa, a young girl who you meet early on and see all throughout the story. There is also a mysterious man who keeps appearing to you and challenges your skill with his high levelled Houndoom. Who is he? You’ll learn more about him on your journey, so the only way to find out is to play the beta! Moving on, an important feature to note as well, is that Poké Balls are more expensive, but are reusable if you don’t catch what you threw the ball at. So spend wisely! Your choices matter! Depending on what you say or do, your story will change, and so too can relationships with characters. There are many new and fun events for you to discover! There are even many dialog changes that will add more insight to the story of your character and the world around you. 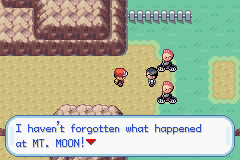 The events that happen in FireRed aren’t the only ones that are a part of the story. With the new characters, there are new locations and storylines not present in the original, which add to the uniqueness this hack has. One big change that occurs because of this, is a system where your choices matter! Depending on what you say or do, your story will change, and so too can relationships with characters. So how will your destiny come together? There’s only one way to find out – try the beta for Pokémon StunningSteel today! Overall I had a great time in playing through this game, and can’t wait to see the future of this project! Pokémon Ruby 2 and Sapphire 2 are fanmade sequels to the original Pokémon Ruby and Pokémon Sapphire, made by RB11. These games are sequels to Ruby and Sapphire, just as Black 2 and White 2 were sequels to Black and White. The story takes place in Hoenn, where a new team comprised of members of the old Team Aqua and Team Magma has emerged in order to find the legendary Pokémon Rayquaza. Looking at the features, we can look forward to a brand new and rebuilt Hoenn region as well as remixed themes from Ruby and Sapphire – both of which are very exciting for anyone who has enjoyed the originals. 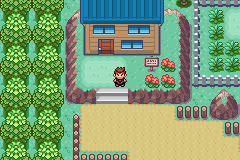 The new hometown in Pokémon Ruby 2 and Sapphire 2, Oldacre. Although there are no releases yet, we can see from the screenshots that the games introduce new characters and new places to explore. We can only wait in excitement for the first release of this wonderful-looking set of games, which you can read more about here! Since Generation 4, Eggs hatch at level 1 instead of level 5. We’re going to show you how you can change this for your Generation 3 hack too. Just replace the bytes 0x05 at the offsets 0x1375B0, 0x046CBE and 0x04623E with 0x01 if you’re hacking FireRed. For Emerald, the offsets are 0x070A38, 0x071414 and 0x1C3200. Keep in mind that the value must be the same in all three offsets. To do this, simply open a hex editor (we recommend HxD) and get to the three offsets mentioned before (Search -> Go to). You can change the Egg hatching level to anything you want, but keep in mind that the maximum level is 0x64 (100). Thanks to Jambo51 and Wobbu for finding these offsets! The Egg sprite also changed in Generation 4, and MrDollSteak has made a sprite (to the left) and given instructions so you can insert the updated Egg hatching graphics in your hack. The offsets for the image and palette are 0x25F862 and 0x25F842 for FireRed, and 0x32B72C and 0x32B70C for Emerald respectively. We recommend using Nameless Sprite Editor (NSE) to replace it. Just open the given sprite (File -> Open Sprite) and insert both the image and the palette (File -> Insert). No re-pointing is required. This is the first article of ROM Hacking Daily, a semi-regular article series aiming to keep you up to date with the latest and best ROM hacks and news of PokéCommunity’s ROM Hacking area.  Do you have any ROM hacks you would like to see featured on ROM Hacking Daily? Let us know in the comments! Written by 5qwerty (Daily Pick), Christos (ROM Hack Awards), Kostas (Tips and Tricks), Lost (Community ROM Hack), and Z25 (Pokémon StunningSteel).